The fuel pump relay is an important component of the fuel system of your vehicle. The device basically puts pressure on the fuel system of your vehicle within a few seconds before the level of oil pressure takes over the fuel system in order to help the system start your vehicle upon ignition. Whenever you turn on the ignition of your vehicle, the fuel pump relay is turned on. 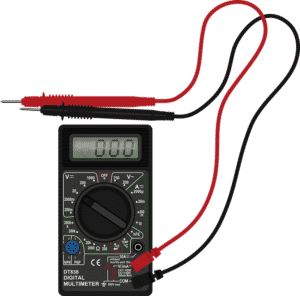 A fuel pump relay or any kind of relay is an effective way to utilize a small degree of voltage to generate a signal in order to open or close the contact of a higher current or voltage line. The relay basically functions as a switch. There are different reasons due to which the fuel pump relay goes bad. There is a winding in the relays which can get burned due to a short as a result of high current or high voltage. There may be something wrong behind the scenes that could cause a burned relay winding. Typically, when the relays are burned or go bad, they must be replaced. However, in order to prevent a newly replaced relay from burning again, it is recommended to first identify and discover the cause behind a failed relay, and then fix it before replacing the relay. If the cause persists the relay can go bad again. The core function of a fuel pump relay is to produce a small amount of voltage in a consistent manner which is supplied to the fuel pump once the ignition is turned on. Mostly the fuel pump relay is controlled and regulated by the powertrain control module or the ignition control module installed in your vehicle. Once the ignition is started, a current will be provided from the fuel pump relay to the fuel pump, which will activate the fuel pump to carry out its function. The engine requires fuel when it needs to start, and a relay ensures that the fuel is provided in order for the vehicle to start. The fuel pump which is responsible for delivering the fuel to the engine when the engine is on runs electrically from the car battery. In order for the pump to deliver fuel to the engine of your vehicle, the electricity generated from the oil pressure is required to run the fuel pump. The relay can go bad due to a number of reasons from dust to electrical power surges, anything can affect the well-being of a fuel pump relay. Both dust and sudden voltage increases can influence a fuel pump relay’s performance and cause the vital function of an engine to malfunction. The fuel pump relay going bad can affect the delivery of fuel to the engine. An engine runs on fuel just like the heart of a human runs on oxygen and blood. Therefore, any issues with the fuel pump relay will affect the flow of fuel to the combustion chamber and your vehicle might have problems starting. However, this can happen due to a number of other reasons such as a choked fuel filter, so you should always visit the mechanic to get your car checked. The fuel pump relay needs to function in tip-top condition if the engine is expected to run without any issues. Therefore, any compromise in the fuel pump relay can directly cause engine problems, such as the stalling of the engine. The engine turns off if the fuel coming in the combustion chamber is inadequate or if it doesn’t have the proper pressure. The part that ensures none of this happens is the fuel pump and it cannot work perfectly if the fuel pump relay develops any issues. When a car starts, the fuel pump comes to life almost immediately. However, due to the improper delivery of electricity to the pump, it is impossible for it to perform its functions. Usually, when you start your car the fuel pump gives off a slight buzzing sound signaling that it has started working. However, if there is any problem with the fuel pump relay the fuel pump will not respond at all and you will be left turning the ignition key again and again. If you experience such an ordeal, it is time to visit the mechanic. In most vehicles, the fuel pump relay can be located in the fuse box in the engine bay. The fuse box of the engine is usually a long black box which contains fuel pump relay along with various other fuses and relays. For different vehicles, the fuel pump relays can be located in different places. However, being a switch that is controlled by the powertrain control module, it is expected to be inside the long black box. If you are not able to locate the fuel pump relay or identify which one of the relays is for the fuel pump among the others, you should refer to the service manual for your vehicle that is provided to you by the manufacturer of your vehicle. The fuel pump relay can come under a lot of stress if it’s located inside the engine bay. The engine gives off a lot of heat which can affect the relay’s performance. Furthermore, most times you will find the fuel pump relay with the other fuses in the fuse box but in some older cars, it is possible for the relay to be situated outside the fuse box, resulting in exposure to both dust and dirt along with heat. As we know, dirt, dust and any other debris can affect the relay’s performance, therefore it is your responsibility to keep the fuel pump relay and other relays clean. 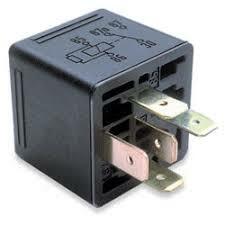 There can also be other problems like power or ground supply problems to the relay. If this is the case, you need more in-depth troubleshooting. Normally you can measure if you got voltage on the 85 and 30 pin. The engine control unit does normally send ground to the 86 pin to close the relay and start the fuel pump. You can often also diagnose it with an OBD2 scanner. The fuel pump relay can be found in the fuse box found in the engine bay. Usually, the fuse box is situated on the far right of the engine bay, near the battery. You can identify it easily as this box is reasonably big. However, if you cannot find it, there is another way and that is to trace the wiring leaving your car’s battery. The battery’s wiring goes through the fuse box. Once you have found the fuse box, open it and find a large cuboid shaped object. Look on the fuse box’s cover to find a map of the fuse and relay layout. Once you have found the correct relay, pull on it and remove it from the fuse box. NOTE: It can be located in other places in your car depending on the model. 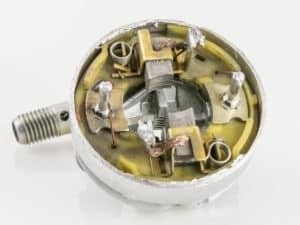 The fuel pump relay is an electrical car part, so it is never wise to apply water to clean it and the connector. As such, extreme care has to be taken when handling a relay. First off, take off the relay and use the blower to blow away any specks of dirt that might be on top of it. Once, you have dusted off the entire relay – this will hardly take 2 minutes at most – it is time to use some ethanol to clean it entirely. However, before using any cleaner, make sure wherever you are working is a clean place. There is no point in cleaning a relay when it can get dirty again. Now proceed by applying ethanol or any other cleaner to the relay and rub it gently to remove any dirt stuck to it. As soon as you are finished cleaning the fuel pump relay, place it somewhere clean to dry. How to replace the fuel pump Relay? When the fuel pump relay goes bad, in most cases you will need to replace it since it cannot be repaired. The replacement process of a fuel pump relay is relatively easy and you can do it by yourself with the proper tools and some basic knowledge. To make sure that you do everything right, it is recommended to keep the service manual of your vehicle by your side that is provided by the manufacturer of the vehicle. Here is a step by step easy to follow guide that will help you properly replace the old fuel pump relay with a new one. Acquire the tools required for the replacement i.e. wheel chocks, needle nose pliers, standard socket racket. How to diagnose a bad fuel pump relay? Here is a step by step process of diagnosing and testing your fuel pump relay to see if it has gone bad. Connect the ground pin on the relay to the ground of the power supply. Check if the meter shows continuity. If the continuity is not observed your fuel pump relay has failed. The average replacement cost of the fuel pump relay is around $90 and $150. The parts may cost you between $20 and $50, while the remaining cost is the labour cost. Fuel pump relay is a small electronic device which is easily acquired online or at the nearest spare parts shop. The replacement cost of the fuel pump relay involves the cost for the parts and the labor cost that the mechanic would charge you. It could take the labor cost for at least an hour of work, or more in certain cases. Depending on your mechanic’s hourly pay rate or the per hour cost the repair shop would charge you, the labor cost may be different. Apart from the labor cost, the fuel pump relay is not a very expensive device, and you can buy one for $20 to $50 on average for most vehicles. I have a 2008 Pontiac Grand Prix and when I turn the engine off the fuel pump keeps running , and the fuel pump will come on without the key being in the ignition and keep running. In this case, you have to check the fuel pump relay to see if it’s constantly engaged. Check if the engine control unit are sending constant ground or 12v to the relay also.